A really great place! Roomy, clean, perfectly located, helpful owners. You can walk to everything (including dive boats) from here. Excellant apartment that suited our needs and location to a tee. Trevor was extremely helping and made our stay one to remember. Will stay there again. the layout of the accommodation, the cleanliness, style and facilities. Also the friendly reception staff. This apartment is centrally located so perfect for shopping, eating and trips. All creature comforts provided for. Very comfortable holiday accommodation. It was in a central location and walking distance to everything we needed. The room was spacious, very clean and tidy. The owners were very helpfull and friendly. Location was perfect as we could walk to everwhere we needed to go. Would definately stay again and recommend it to others. 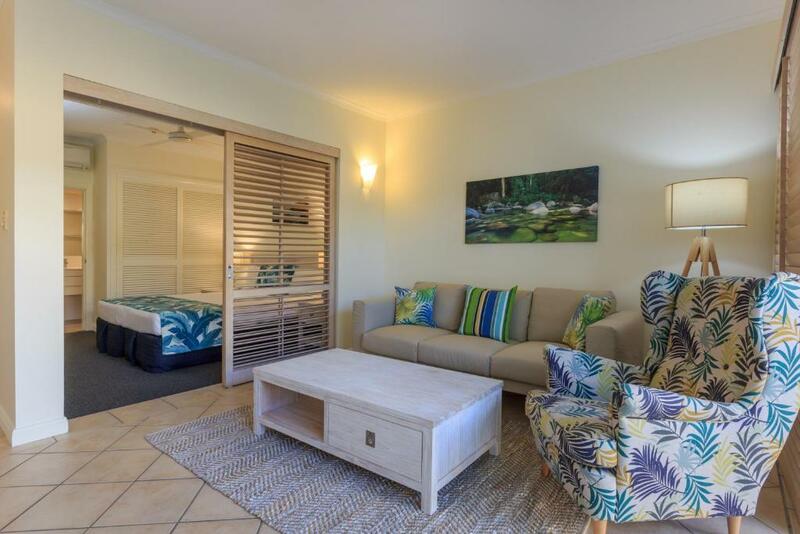 Lock in a great price for Macrossan House Boutique Holiday Apartments – rated 9.3 by recent guests! 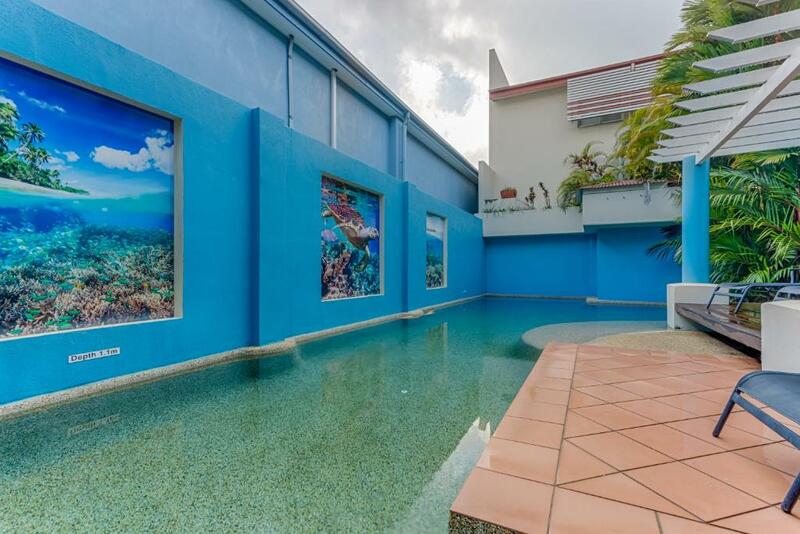 Macrossan House Boutique Holiday Apartments This rating is a reflection of how the property compares to the industry standard when it comes to price, facilities and services available. It's based on a self-evaluation by the property. Use this rating to help choose your stay! 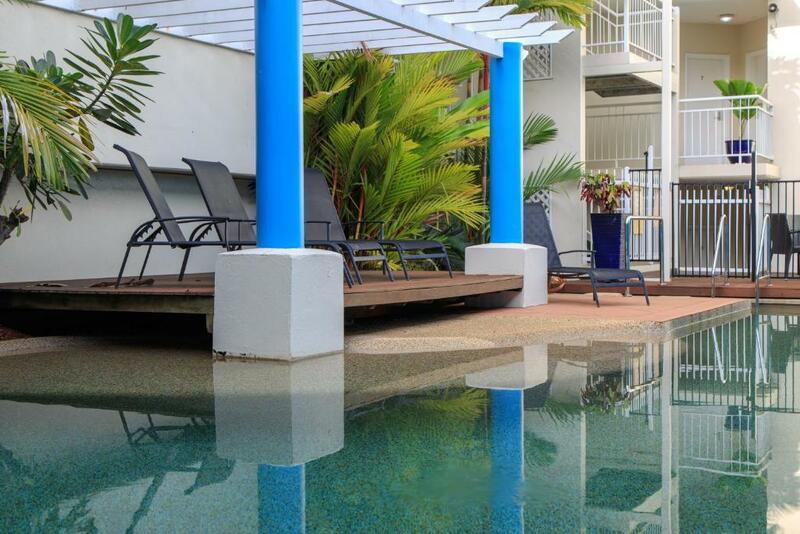 Macrossan House, in the heart of Port Douglas, offers quality, stylish and peaceful 4-star accommodations in a great location in the center of Port Douglas. This private secluded oasis is just steps from Port Douglas stores and restaurants, with a short walk to the beach and the marina. These self-contained apartments in Port Douglas are a perfect getaway for couples and singles. There is a heated pool, spa and BBQ facilities. It is a short walk to a huge variety of cafes, restaurants and bars. 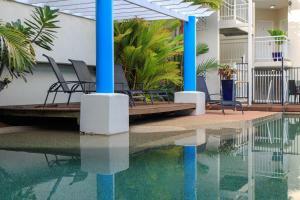 Macrossan House Boutique Holiday Apartments are a 1-hour scenic drive north of Cairns Airport. Transportation can be arranged by Shuttle Bus, Taxi, Limousine or Helicopter. When would you like to stay at Macrossan House Boutique Holiday Apartments? 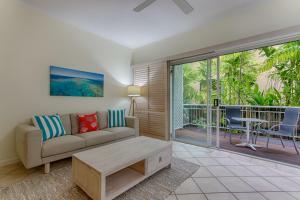 Each apartment is fully self-contained and individually air-conditioned. Ceiling fans are also provided. 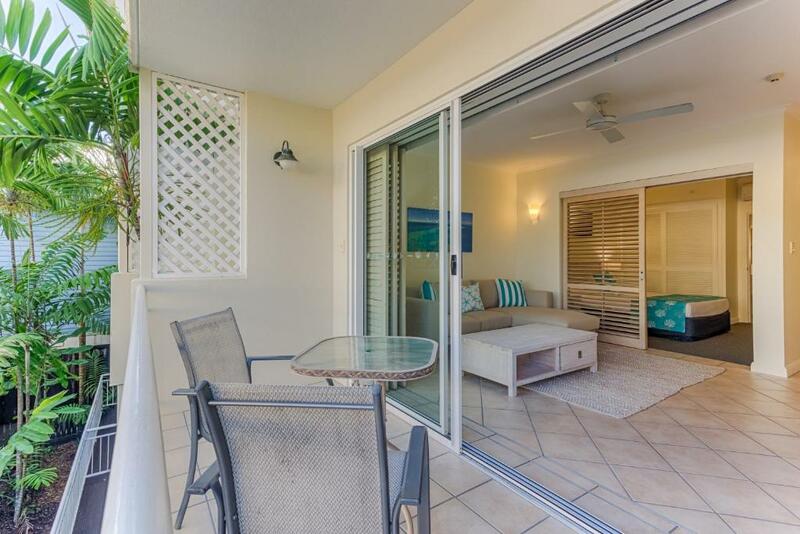 This air conditioned apartment features a kitchen, flat-screen satellite TV and a private balcony. This room has no stairs and includes a wheelchair accessible bathroom with hand railings and a foldout seat. A shower chair can be provided for free. 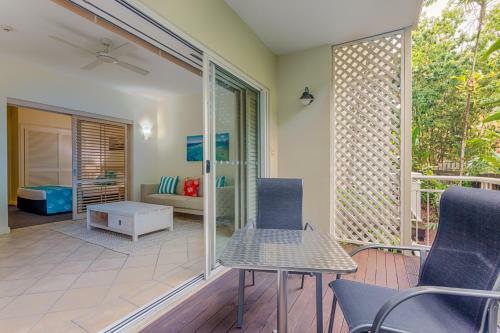 This air conditioned apartment features 2 bathrooms, a kitchen, flat-screen satellite TV and a private balcony. 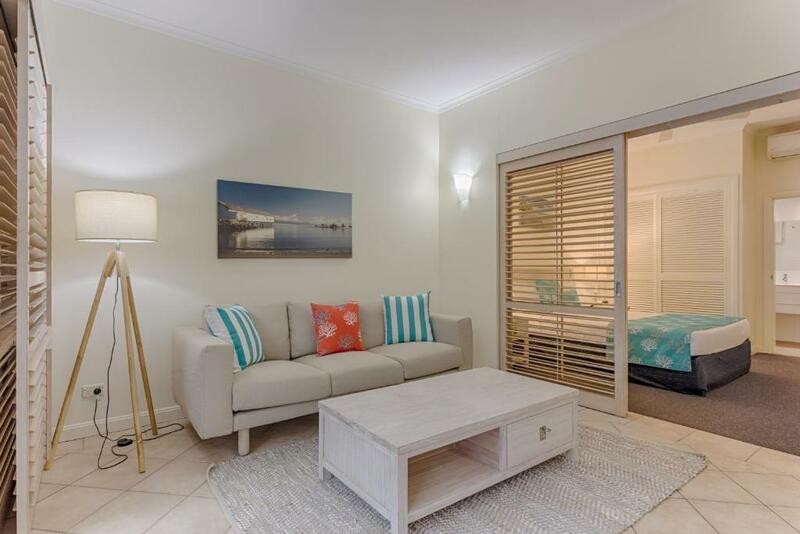 Trevor & Philippa have owned and operated Macrossan House Boutique Holiday apartments since November 2005. We strongly believe in personal service for all our guests. With no staff and living on site we do every thing ourselves including the cleaning, hense our lovley apartments are super clean and fresh with newly refurbished ensuites (completed March 2013) Our local knowledge is second to none and we strongly advise you use it to get the best experiance possable for your stay in Port Douglas. 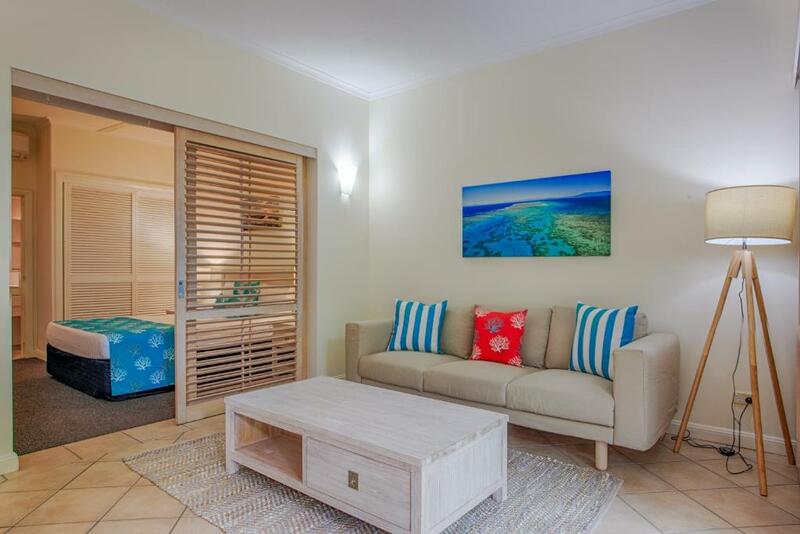 House Rules Macrossan House Boutique Holiday Apartments takes special requests – add in the next step! Macrossan House Boutique Holiday Apartments accepts these cards and reserves the right to temporarily hold an amount prior to arrival. One room has broken toilet seat and there is difficulty with luggage if you are on the higher floors. Great place to stay, brilliant location. The rooms are bright, airy and really welcoming as are the hosts, Pip and Trevor. There wasn't anything we didn't like except we had to leave. Perhaps a later check out wpuld be nice. It was a very lovely apartment centrally located. The friendliness of staff wws excellent. . Michelle went to the trouble of changing rthe room for our elderly Mother so she could access her room more easily. Exellent location right in the middle of town but tucked away and quiet.